"Is there no way out?" Tessa loathes being forced to work in her father's illegal drug business. Yet her ill-fated attempts at running away only deepen the abuse. Guilt and shame press in, pushing away her real friends and reinforcing her own criminal tendencies. Tessa yearns for freedom - and something else. Then a neighbor introduces her to God and salvation through Christ. But will faith be enough? Can she overcome the forces that bind her before it's too late? Do you know someone who has suffered abuse, struggles with addictions, or keeps getting caught on the wrong side of the law? Or perhaps their difficulties are more internal -- fear, loneliness, shame, or abandonment. 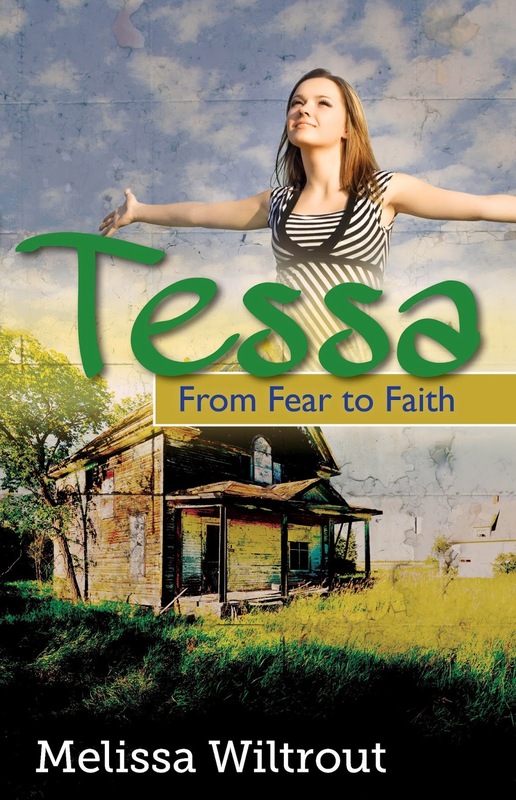 Whichever it is, chances are good your friend would enjoy reading Tessa: From Fear to Faith. Without preaching, Tessa offers readers encouragement, hope, and real solutions to their problems through Christ. Tessa has been quite popular at the local jails and the juvenile detention center. Even people who don't read books enjoy it. Get a copy for yourself or a friend today; you will be glad you did! Melissa Wiltrout lives in Wisconsin, where she works at the family nursery and landscaping business. 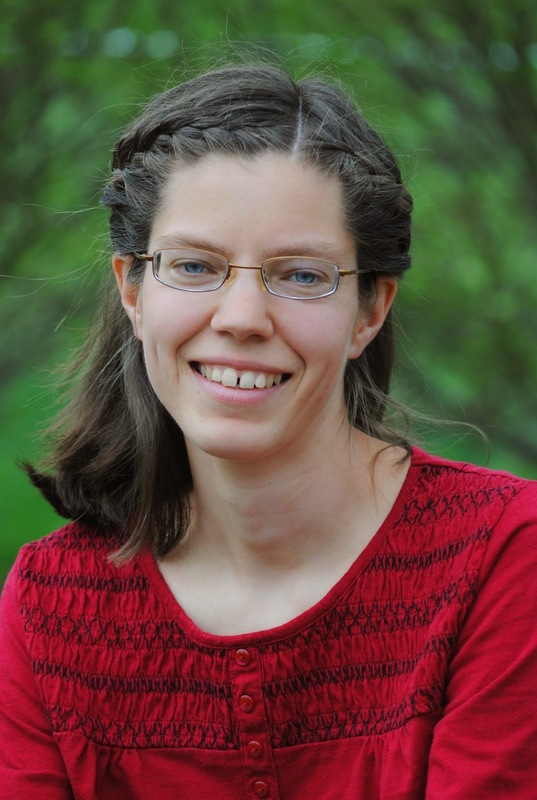 In her free time, Melissa enjoys gardening, folk dancing, playing guitar, and reading. I didn’t know I was a writer until I "accidentally" started writing a novel in late 2007. Looking back on all the writing I’ve done in my life, I can’t believe it took 26 years for me to realize I'm a writer. I thought everyone wrote. When I was growing up, I watched my dad write down his personal reflections and devotional thoughts in a thick notebook. When the notebook got full, he’d start another. I started writing my first novel when I was eight years old. I had no plot and a family of ten characters. The first day, I threw a birthday party for my main character and let the cats mate. Then I detailed each of my characters’ actions as they brushed their teeth and got ready for bed. I didn’t want to leave anything out and thereby imply one of them hadn’t brushed his teeth! My eleven-year-old brother gave me a piece of advice on the story. "Make sure you include everything that happens, every single day," he said. This caused me great discouragement. I would have to wait two months before the cats had kittens, and an entire year before the next birthday party could occur. Writing about getting out of bed, eating breakfast, and doing chores for the next 59 days did not thrill me. So I quit. Six years ago (Fall of 2007), I accidentally began writing a novel. It started innocently enough. I imagined a scene in my mind and tried to write it down the way I saw it, “just for fun.” I thought it would be a good writing exercise. But I found I couldn’t stop with a static scene; I wanted to follow my character and see what she was going to do next. Thirty pages later, I casually told my family, “I’m writing a novel.” I really thought it was a joke. In the spring of 2012, I submitted what I thought was a finished manuscript to a publisher I knew. Within a few days he contacted me, saying he liked it, but it needed more emotion. Thus began the final, and most difficult, rewrite. I poured everything I knew and had ever experienced into the story. It was slow going, but when I completed it in the spring of 2013, I knew I had done my absolute best. I dreaded sending it back to the publisher, afraid he'd tell me to rewrite it again. Bless his heart, he didn't. I love being a writer; it's hard work, but it's never boring. I love the thought that my books will go places I can't dream of and bring the gospel message to people I will never meet. I love being able to capture my imaginations and share them with others. Tessa is a runaway. She is a runaway who is desperately searching for refuge from her dark and dysfunctional home. Her father is abusive and forces her to help him with his underground drug business, while her mother stands by choosing to overlook the severity of the situation. When everything seems hopeless and uncertain, she discovers a light at the end of the tunnel. However, she doesn't recognize where that light is coming from at first. I became hooked to this story from the first page. It was like Francine Rivers' Redeemed meets Karen Kingsbury, two of my all-time favorite Christian Fiction projects. Melissa Wiltrout gives us a raw look into the turmoil of a dysfunctional and abusive home. The characters were well-developed and believable. Tessa was a good example of a young teen struggling through some serious life issues. I felt her fear and pain and the bit of PTSD she experienced from being beaten by her father. I was terrified right along with her! And her mother, whom I could understand just tried to survive, even if it wasn't done well. The characters were realistic and very well done. The "faith factor" was also well done. Wiltrout did a beautiful job writing faith into this story in a way that wasn't "preachy" but also pragmatical. I've seen extreme changes like this happen in people's lives, so I know without a doubt that it can happen. This is a great book! It is very well done and has a lot of depth to the storyline and characters. If you enjoy the likes of Karen Kingsbury and Francine Rivers' Redeemed, then you will most definitely enjoy Tessa.